I have been an athlete for all 16 years of my life, and have worked with many different coaches in different sports. When I got into cycling about 5 years ago, I had an ambition to race and push myself beyond my limits. In October of 2014 I decided that I needed a coach to help elevate my cycling performances, and I found Performance Cycle Coaching. I was put into contact with John, and we set up a training program. 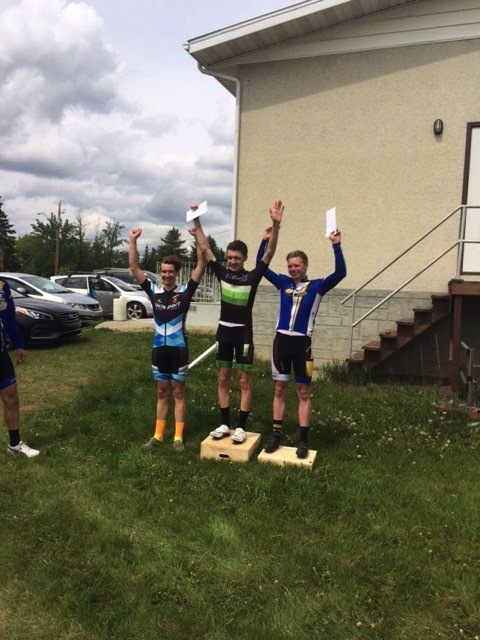 In 1 winter I went from a cat 5 athlete to a cat 3 provincial champion. I don’t think this would have ever been possible without John’s help. Right from the start, John was helpful, enthusiastic and motivating. He motivated me through many months of downstairs trainer rides. He is always able to answer my questions and he can change my schedule based on my life, which is very important. He is very interested and genuinely cares about my racing and training. Sometimes other things get in the way of riding, but he always changes my schedule appropriately and quickly. Working with John has been an absolute pleasure, and he has pushed me to my limits many times. If you want to become a better cyclist, John is your man.